HOW OFTEN YOU NEED TO PERFORM TRANSMISSION FLUID SERVICE ON YOUR CAR? The engine has many important parts that are very complicated and require proper maintenance and care to function smoothly. Transmission fluid is just a part of the process which makes the functioning of the transmission system smooth and easy. Just like the other fluids and oils in the car, transmission fluid is a lubricant. Its main purpose is to make sure the transmission function smoothly and doesn’t get damaged by keeping it cool and lubricated. It is really necessary to keep a track of the transmission fluid because if it goes bad, many problems can arise. The fluid helps make sure that the gears are not grinding against each other by keeping them lubricated. Over time in while protecting the gears from grinding, the fluid creates and collects a lot of debris which can cause problems in the process. It would affect the acceleration and the gear shifting won’t be as smooth as it was before. The presence of debris and dust particles make it really hard for the transmission fluid to do its job. These are the reasons why transmission fluid is so important for the car. The reasons to get the transmission fluid changed are many. From the loss of acceleration to gear shifting problems are some common examples. The major problem that can happen if transmission fluid is not changed is the complete transmission system failure. It is really serious as it is one of the most expensive repairs and it would take a good amount of time to get done. If you have to get the transmission system replaced, it would result in a huge amount of money and labor charges as well. The problems if not dealt with on time can result in serious problems and can result in breakdown and transmission failure at any time. 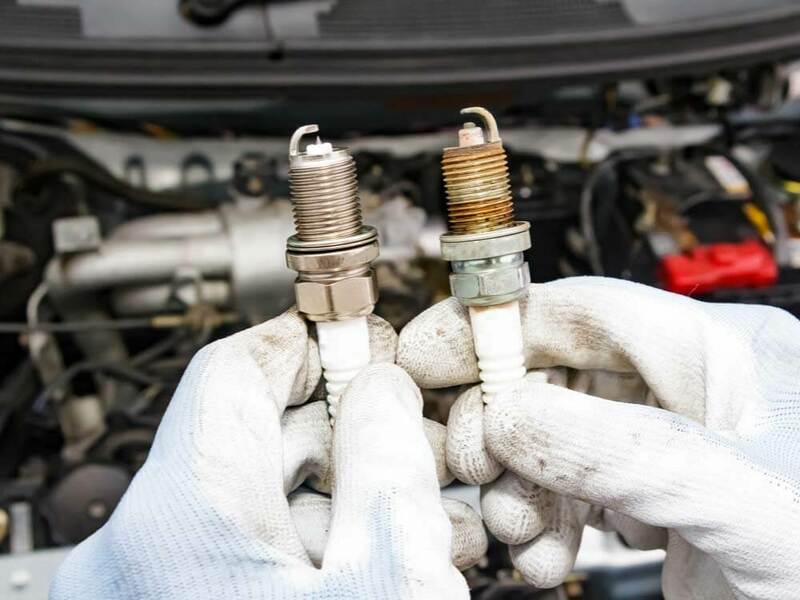 It is something that a car owner should try to avoid by taking preventive steps and getting it checked and replaced as mentioned in the owner’s manual. The transmission fluid problem is not that easy to identify. It is hard to catch the signs and they increase at a quick rate. It is really important to be alert to it. The best way to identify it is by checking the color of the transmission fluid. If the fluid is in good condition, its color will be read. If the fluid is worn out and has debris, it would have turned brown. Also, check under the car when you park it or move it as it can help identify the problem. There would be a small puddle of fluid forming under the car when parked. Another sign would be trouble shifting gears and sounds while shifting gears. It could be a result of low fluid. 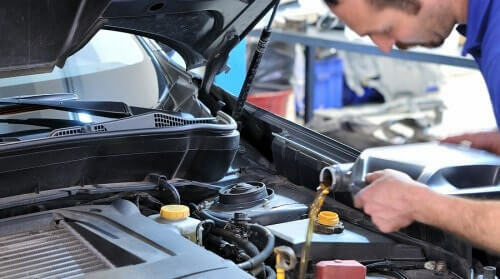 To get the car diagnosed and to get the transmission fluid replaced, you can visit a mechanics near you or hire a mobile mechanic near you to get the job done. Here are some of the tips that can help you clean the windshield better without causing any damage to it. Choosing the right windshield clean is really important to prevent unnecessary scratches on the glass. When choosing windshield cleaner make sure to choose the one which has ammonia in it. Ammonia damages the tinted glass. 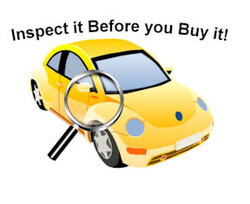 Always check the labels while buying and make sure it says safe for tinted glass. These cleaners can be purchased at auto stores. You can also use regular water to clean the windshield. It won’t be as effective as the windshield cleaners, but it gets the job done. Unlike other auto repairs or maintenance, cleaning the windshield is not on anyone’s list. It is important to make it a regular habit to get the windshield cleaned every couple of days or after a long trip. If you are planning to clean the windshield along with other maintenance like wax or polish, make sure to get the other things before cleaning the windshield. If you get the other things done after cleaning the windshield, something might spill on the glass later on and leave a mark which you would have to clean again. Make sure to clean the windshield from both inside and outside. Where your car is parked when you clean the windshield also matters. If you park the vehicle out in the sun, it can cause the windshield cleaner to evaporate even before you scrub it off. It is better to clean the windshield after parking the car in the garage or under a shade. By choosing the right place to clean the windshield, you can clean it easily without any problems. Choosing the right material to clean the windshield is really important as wrong materials used to wipe the windshield can damage it. Some people use tissues and newspaper to clean the windshield with water which damages the windshield and leaves scratches on it. The right thing to use is a towel to clean the windshield. Mechanics suggest you to use a high-quality microfiber towel to clean the windshield. It is recommended to use such towels as they are really smooth and provides the finish required to clean the glass. It also prevents scratches caused by electrostatic attraction. All the necessary materials can be bought from any auto store near you. For any doubt regarding cleaning the windshield or replacing it, you should consult a mechanic near you. If you plan on getting it replaced, you can get it changed at a local auto repair shop or by a mobile mechanic near you. Engine oil function in the car is to keep the engine and its components cool. The engine oil keeps the parts of the engine lubricated at all times which keeps them cool. The engine oil also improves the fuel efficiency of the car and improves the lifespan of the car. Due to these important functions the mechanics near you always suggest you use the best quality of oil for your car. There are three types of engine oil available each varying a bit in terms of price and performance among which the synthetic oil is considered to be the best for the car. By using the right engine oil you can get satisfactory results and keep the car performing at optimum level. If you use high-quality oil, it would last for about 5000-7000 miles before you have to get it changed. Get the oil changed on scheduled intervals to avoid engine problems from occurring. 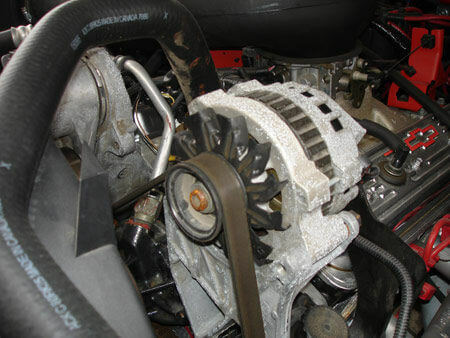 Engine oil leaks are common as they are connected and travel through various seal and gasket located around the engine. There are many places where the oil can leak and it is not easy to identify the spot without diagnosing it properly. If you spot engine oil leak from the car, it is not easy to identify the source as the oil flows through various places before it falls down. The exact area is really difficult to locate. Plus, the dirt and debris make it even harder to spot the point of leakage. 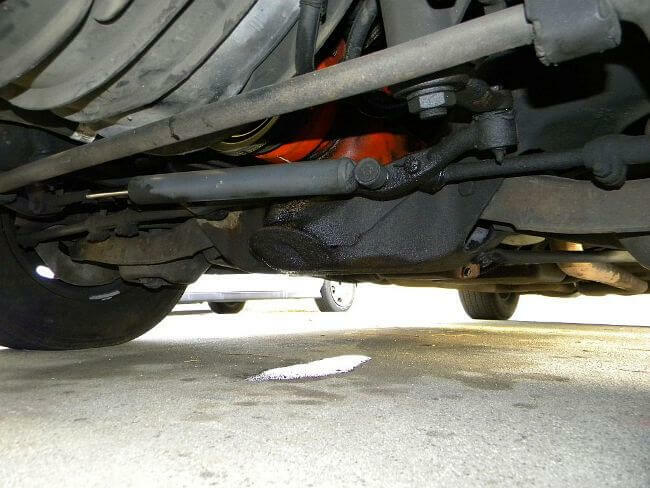 Here are some ways through which you can locate exact place of engine oil leak. One way to figure out the engine oil leak is by using a degreaser. Purchase a degreaser and apply it on the area where you think the oil might be leaking from, but make sure that the engine is cool before doing so. After applying the degreaser wait for a while and then wipe it off. Start the car and keep it on for a while and then check under the car for the leak. It is really difficult to spot some leaks and takes a lot of time to locate it by repeating the process until the leak gets bigger. The other way to locate the leak is to use a UV leak detector kit. With the UV kit comes the fluorescent dye which is made for specific engine fluid. You need to add the dye into the engine oil. After you pour the dye in the engine oil, turn and keep the engine on for 10 mins. Take the car for a short spin to burn the time if you want to. Then, let the engine cool down properly before starting to check with the UV light. When you start checking, look for the green glow which is the sign that the dye is leaking from that particular spot. That is how UV kit can help locate engine oil leak. If you don’t like to DIY, you can take the car to an auto repair shop or hire a mobile mechanic near you. Getting your car serviced regularly is the most common and important advice that mechanics give to their clients. The people don’t usually take it seriously but it is one of the most important things to do in order to prevent auto repair problems in the future. By servicing the car regularly, you can ensure that the parts of the car stay in good condition and perform as well as last to its full potential. Servicing the car on time also benefits by saving money on auto repair costs that get diagnosed soon. Some of the problems can even be avoided by servicing the car regularly like a fluid refill and filter servicing help avoid engine problems. Any mechanic near you would suggest you get your car serviced at regular intervals to save time, money, and improve the lifespan of the car in a long-term scenario. Each vehicle is created differently and needs a different kind of maintenance. The parts and technology differ from each other in many. Hence, the schedule of repairs is also different from each other. An example of this can be the tyre pressure level of cars as the SUV’s require different tyre pressure whereas the hatchback needs different. This is the reason why all car come with a user manual and mechanics suggest you to check the user manual to know more about your car and its maintenance schedule. Details about some of the part replacement intervals and tyres changes are mentioned in the manual which helps plan in advance. This is another preventive measure suggested by the mechanics which ensure that the tyre tread wears equally and ensure weight distribution. It benefits in many ways by improving the lifespan of tyres, the fuel economy, and smoother performance while driving. The tyre rotation does not cost much and ensures that you do not have to face the major cost of replacing all the tyres soon. The mechanics also suggest you get the wheel alignment check when you get the tyre rotation done to improve the handling of the vehicle. This is a preventive measure that is really necessary as it prepares the car for any and all situations. If the fluid levels are as required, the car gives optimum performance under any kind of weather or road. If fluid levels are low it can affect many major parts such as the engine and steering. 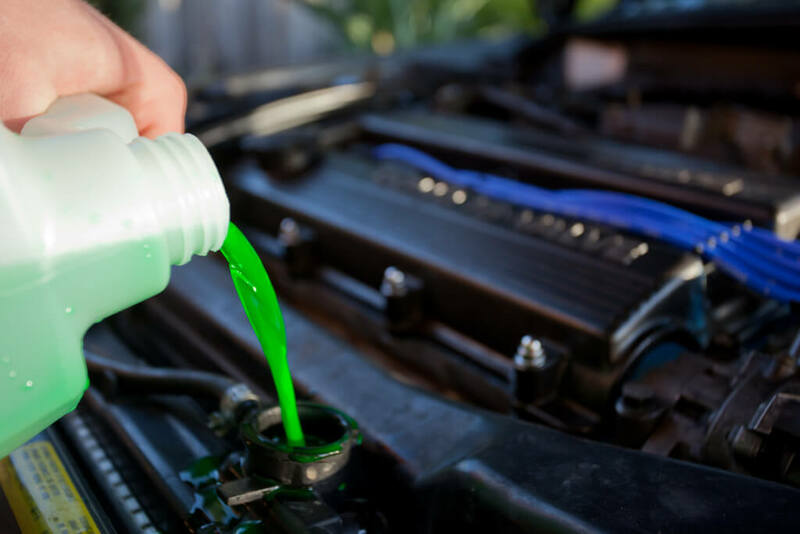 Some of the important fluid checks are radiator coolant, wiper fluid, antifreeze, and power steering fluid. By getting these fluids checked and refilled you can ensure great performance and avoid many auto repair problems from occurring. This is something that can help you avoid car starting problems in the morning. 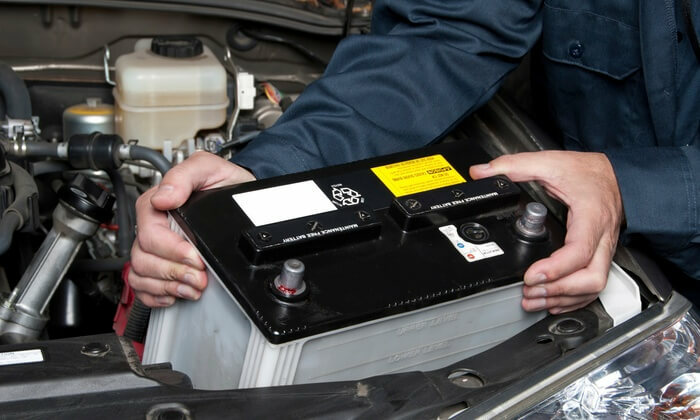 Getting the battery checked is necessary to make sure the battery has enough charge to start the car. A fully charged battery show 12.6 A reading and anything below 12.3 A is considered to be low. If the battery goes dead it can cost you a lot to get it replaced and by getting it checked, you can make it last longer. It is better to get the battery checked every couple of months or before season change to avoid problems. When confused, ask a mechanic. 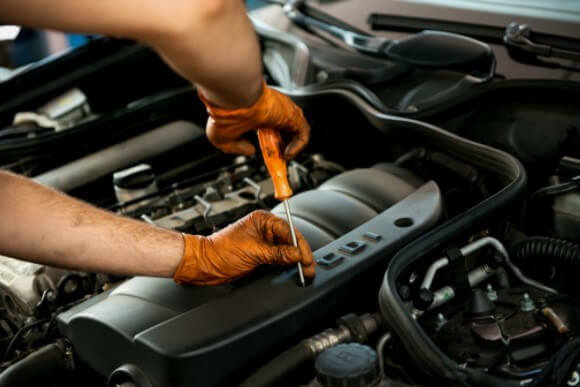 If you feel there are some other questions in your mind related to any kind of auto repair, be it while getting it done or just to gain more knowledge, you should ask a mechanic. If you are getting a repair done, ask the mobile mechanic or local mechanic all the questions that you might have in your mind to clear it out. If you are planning to get an auto repair done and need to know more about it, never hesitate to consult a mechanic about the same. The professional mechanics are always ready to help and let you know how you can take preventive steps to avoid major problems. There are many simple auto repairs that people ignore which in long-term can results in major problems if not taken seriously. Here are some of the simple auto repairs that people ignore which turn into major problems later on. Oil and filter change: This is a simple auto repair that needs to be done every couple of months. As both oil and the filter affect the performance of the engine. The engine oil helps cool down the engine and lubricates the parts of the engine for smoother performance. While the filter is used to prevent the dust particles from entering the engine. The engine oil usually lasts 3000-7000 miles depending on the type and quality of the oil. While the filter needs to be replaced between 5000-7500 miles. If you ignore these simple repairs, it can result in major engine problems like overheating and complete engine breakdown. If you ignore replacing or servicing the filter it can result in damage to the internal parts of the engine. Brake repairs: Brake system of the car consists of many components that work together to slow down and stop the car. The simple auto repair problems related to brakes are brake pad replacement, rotors resurfacing and replacement, and brake fluid change. These replacement and changes are required to maintain the braking system and don’t cost as much as major repairs. The brakes pads are to be replaced every 25000-60000 miles depending on the type of brake pad and style of driving. While the rotors are to be replaced every 30000-70000 miles. The rotors can last longer as they can be resurfaced when they get rough, but there is no such option for brake pads. If any simple brake repair is ignored, it would result in damage to the other parts of the system as well which would lead to major auto repair problems. Tire replacement: This is another simple repair that does not need to be done often, but when the time comes, you should not ignore it. The safety of everyone in a car depends on the condition of the tyres and brakes. The tires usually need to be changed after 3-5 years. They need to be rotated after some time to manage the wear they take. If you ignore tire replacement, it can result in many major problems as it would affect the suspension, brakes, wheel alignment etc. Hence, it is better to get the simple things done in time to avoid such issues. 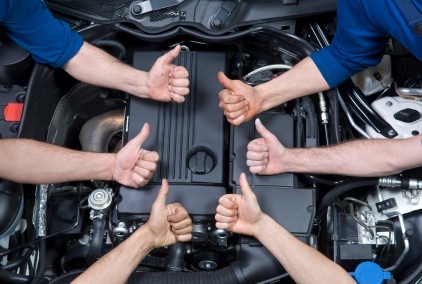 Radiator repairs: Radiator refill is the simplest thing a car owner has to do. It has to be a part of his daily routine to check the coolant level in the car. If the level is below par, it needs to be refilled. Radiator coolant helps cool down the heat generated from the engine. It needs to be flushed 30000 miles to avoid dirt and other particles from settling down in the radiator which can block the flow of coolant. If these simple measures and auto repairs are not done, the engine car overheats and cause a complete breakdown. The simple repairs that you get done on time help you to save money in the long-term as all the major problems are diagnosed well before and dealt with accordingly. 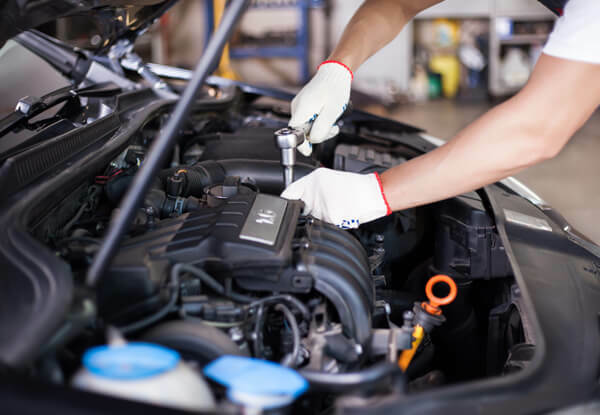 Consider getting the simple auto repair done as a sort of preventive measure which helps to avoid major repairs and saves money in the process. There is some repair that cost a lot of money which can be avoided easily by getting the simple repairs done on time. These repairs don’t take much time and can be done on any day. All you need is a couple of hours to get the repairs done. The local mechanics can get all these simple repairs done easily and it won’t take much of your time. It would be even better to book a mobile mechanic to get the auto repair service wherever you are, be it, at work or home. By spending a couple of hours on these repairs, you save a lot of time that you might have to spare to get the major repairs done in the future. Some major repairs require a whole day or even more, depending on the availability of the parts. There are various types of lights on a vehicle each having its own purpose and importance. Here are some of the important vehicle lights that are used often to avoid accidents and ensure safety. 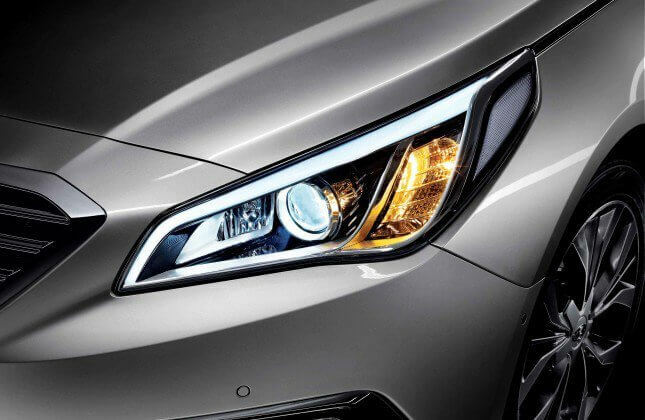 The headlight plays an important role in improving the driving experience. 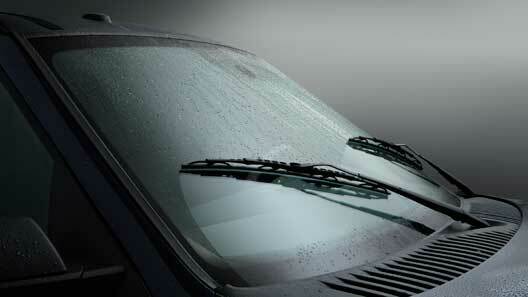 They help the driver see clearly during different weather conditions and especially at night. The headlights are mounted on the front of the vehicle and its main purpose is to illuminate the road during the night, foggy, and low light conditions. It helps prevent accidents and ensures the safety of the vehicle and the passengers. Always make sure to keep the headlights clean by taking preventive measures as it is really necessary. Headlights have two features mainly to help you see clear at close distance and other helps you see the far-off objects. It is suggested by mechanics to use genuine products for headlight or headlamps rather than aftermarket or cheap alternatives to avoid any risks. The purpose of the tail lamp is simple. It helps the people see you from far or at a reduced distance when coming from behind to overtake you. It helps them to see you and judge whether to slow down the car, apply brakes immediately or to overtake you and go ahead. The tail lamp requires the same amount of maintenance as the headlights as the both their purposes are same. The safety it ensures is really important for a driver. The fog lights are considered to be a safety feature. They are designed to help the driver see at low speed and to let them see the surface and verges of the road more clearly. The fog lamps play an important role when the visibility is really poor in rainy, foggy, dusty, or snowy conditions. If you live in an area which receives or faces a lot of snowfall, rain or dust storms, it is suggested by the mechanics to use fog lamps and maintain them for better visibility. The indicator lights are located on the front, back, and side of the car. Sometimes on the side-view mirrors as well. These indicators play a really important role in ensuring safety while driving. These indicators help the driver to show other drivers from the other side of the road and from behind to understand which way he wants to go or turn. They are used while making left or right turns and while overtaking. Their importance cannot be ignored and it is necessary to get the lights replaced if one of them stops working. The brake lights are on the back of the car while light up when the brake pedal is pressed to slow down or stop the car. This is considered to be one of the most important light as it indicates the cars behind what you are doing. Whether you are slowing down due to some reason, applying the emergency brake, the driver in the car behind will look at the brake light to understand what you are doing or about to do. It is a sort of a sign that helps avoid numerous accidents.